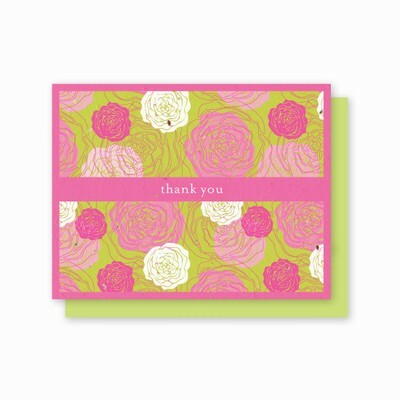 Say "Thank You" with thiscard thatputs a modern twist on the classic rose in a vibrant pink and green color palette. Available in a package of 5 or a bulk pack of 24 (bulk cards ship flat). Includes envelopes.